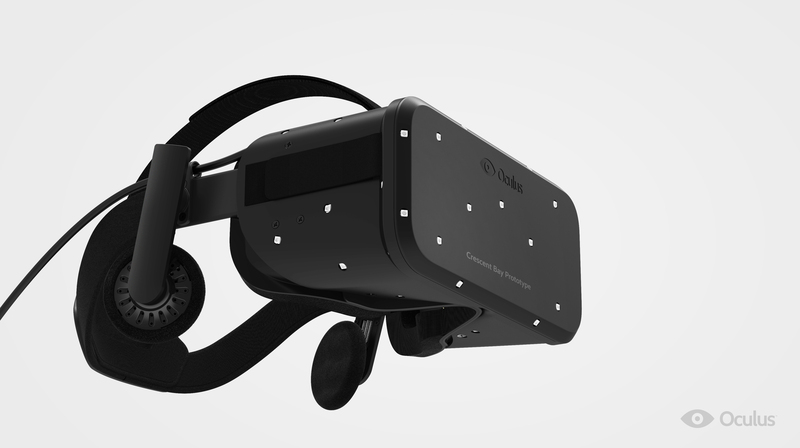 With the power of Facebook behind them, Oculus embraces iteration, newfound resources, developers, and the future. 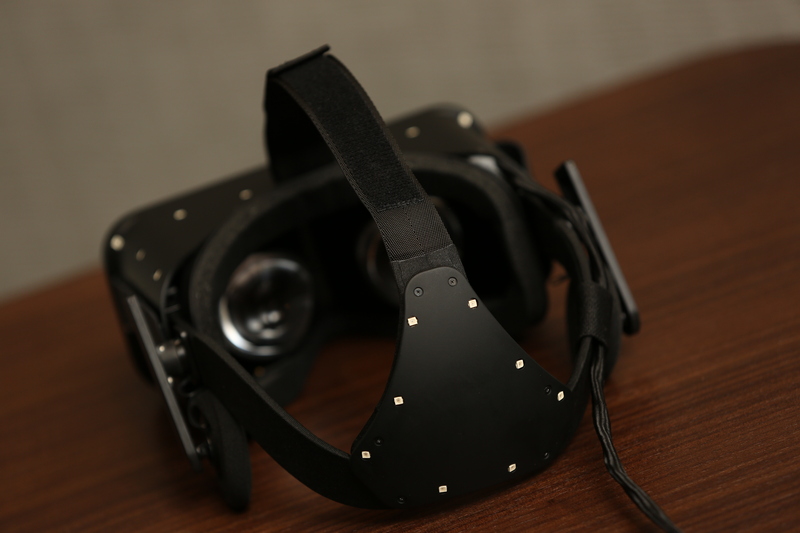 Oculus VR held its inaugural "Oculus Connect" developer event last weekend in Los Angeles. A lot has changed for Oculus now, and when Connect was originally announced in July. The latest developer kit (DK2) shipped in August. The company's acquisition by Facebook has settled, to the point where Oculus staff positions are popping up in Menlo Park (Facebook HQ). Most important, however, was the introduction of Samsung Gear VR, but we'll dig deeper into the mobile VR experience later on. 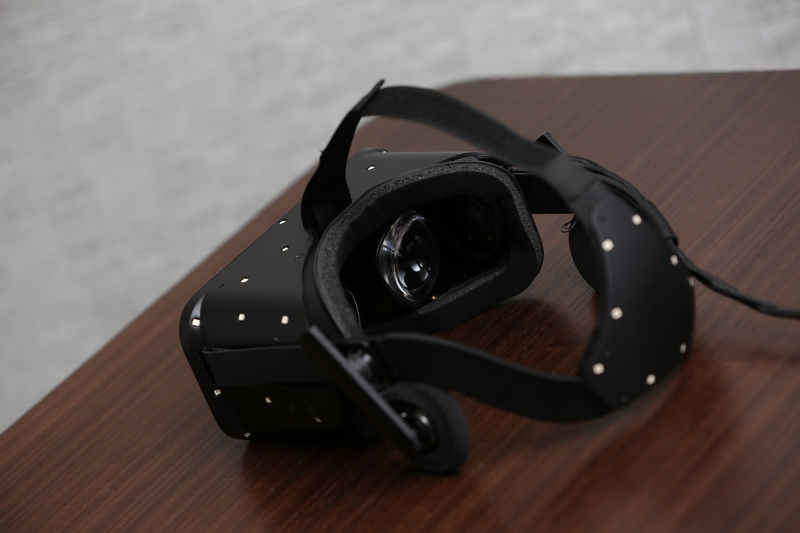 Lots of change and a dash of stability for the firm that's trying to pull our thoughts on VR out of the cheesy days of the early 90's and into the technologically-focused, blindingly fast paradigm shifts of the 2010's. In what direction is Oculus headed? How has Facebook truly changed the day-to-day at the company? What's the hardware like? And how do developers factor into the equation? Answers were abound at Oculus Connect, and for the first time, we have a clear vision of the company's future. 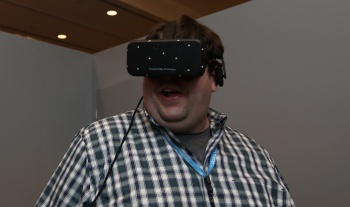 The star of the Connect show was undoubtedly Oculus' latest publicly-shown prototype. 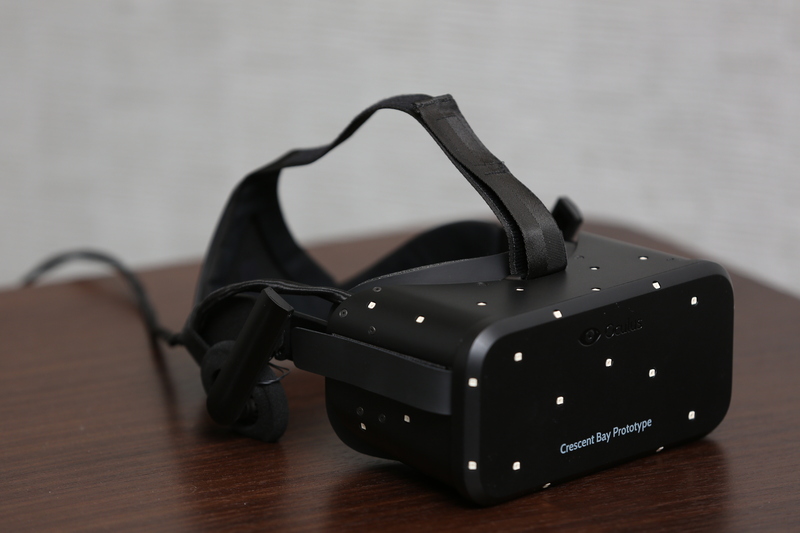 Code-named "Crescent Bay," the latest hardware iteration of the Rift headset adds two crucially important features: Integrated audio, and 360-degree tracking. Surround sound has always been an important cornerstone in many gaming genres. Whether you're tracking an enemy on a Counter-Strike map, or awash in your favorite RPG, audio can make or break even the most visually engaging experience. Dropping audio into the VR equation takes the fresh, interesting experience, and makes it whole. If you're supposed to be standing in the middle of a virtual room, battlefield, or movie theater, the audio software included by Oculus makes for a smooth surround sound experience. And since your head is now turning in any direction it pleases, the surround sound isn't handicapped moving on an X or Y axis - the 3D world has effortless 3D audio to go with it. It's amazing how properly integrated audio can take an Unreal Engine 4 VR demo from good to great, and that's exactly what happened during my Crescent Bay demo. Tracking has also been upgraded, from basic following of head movement to full-on, 360-degree body tracking. The new tracking tech means a complete turn in the real world translates into the virtual world - no more empty/unused screen space, or lack of movement in-game if you look behind you. 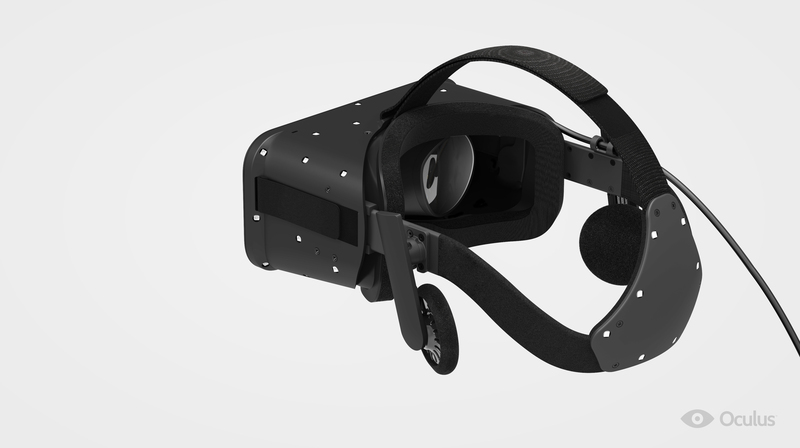 The IR LEDs that have always lived on the front of the Oculus hardware now populate the back of the head strap, which allows the tracking camera to see the back of your head. The new LEDs mean "standing experiences" are coming in a big way. You can walk around, turn around, crouch - everything is there except for limb tracking, which can only be achieved via third-party hardware at the moment (such as with Razer Hydra). But moving your body around in VR is a necessary step to retail, and to a wholly enjoyable experience. 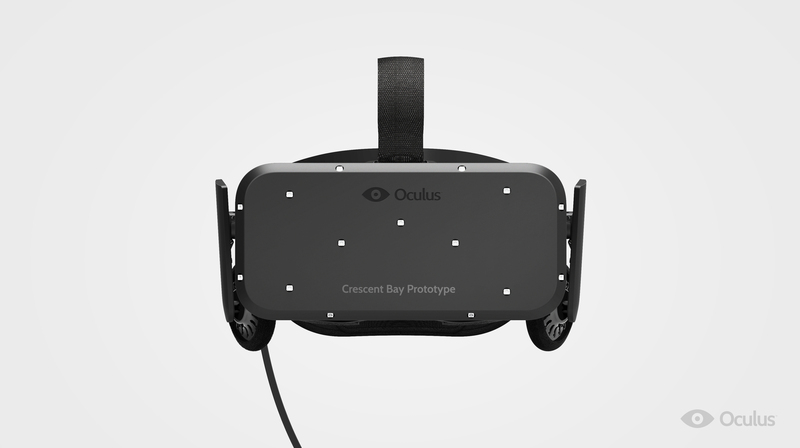 There's a lot to be done with Crescent Bay before Oculus pushes out a retail unit (or rumored retail beta). 360-degree tracking and audio are two of the cornerstones here, but there's still a blurring/smearing effect when looking at text with the Oculus while moving your head. Oculus has always preached "low persistence" in its hardware, another term for reducing or eliminating motion blur. Every new Oculus model pushes low persistence harder and further, and Crescent Bay is no different, even if it's not perfection just yet. Image popping is also a problem, caused by a lack of fine-tuning in the new IR LED array. Sometimes the camera will misjudge how far away your head is, and will "pop" in the environment image closer to you, or pull it farther away. The issue should be fixed with some more clever software down the road, and additional IR LED placement. There are additional, smaller problems, like the head strap being a bit uncomfortable at times, likely due to harder materials used where the rear IR sensors live. In spite of its shortcomings, Crescent Bay is a sizable leap over DK2. The improved resolution (not confirmed, but I've heard it's 2560x1440, or dual side-by-side 1080p panels), 90 Hz refresh rate, the laser-focus on low persistence, and Oculus' evolution into a standing experience are all huge steps in the right direction.